Anyone who is serious about playing real money slots at a land-based or online casino is also serious about winning big. Six and seven-figure slot machine jackpots are hard to come by at any casino. This is why you know that luck in on your side when you strike it rich when a jackpot crosses the half-million mark. 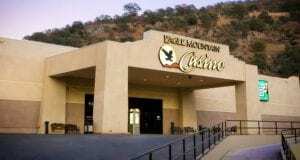 A local ABC affiliate in the Bakersfield area of California posted the story of this big win at Eagle Mountain Casino. The report states that a local Bakersfield woman is playing penny slots at the casino on Monday, Jan. 11. The slot machine was called the Buffalo Grand. The jackpot hit, she first thought she had won $5000. When it was revealed that the actual jackpot was over $500,000 reports state that she nearly collapsed. When Does The Local Bakersfield Women Wins Big at The Casinos In California? In an accompanying picture, the actual Buffalo Grand penny slot displayed the exact jackpot figure of $562,262.61. A regular at Eagle Mountain Casino, the same patron had hit a slot machine jackpot of $16,000 in the past. You can bet that this time around there was a bit more fanfare regarding the hit. It was also reported that this same patron can be found playing slots at Eagle Mountain Casino at least once a week. This just goes to show that practice makes perfect and persistence pays off. The report did not mention how this latest six-figure jackpot stacks up against some of the biggest slot machine winnings on either the Buffalo Grand machine or at the casino as a whole. 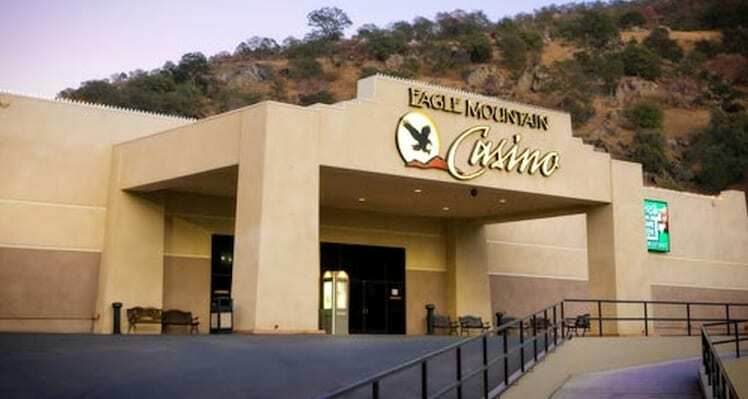 Eagle Mountain Casino is located in Porterville, Ca. just outside of the Bakersfield area of the state. The actual address mentioned in the local news post is 681 S. Reservation Rd. The facility is operated under the management of the Tule River Tribe of California and it first opened its doors to the gambling public in 1996. The selection of electronic gaming machines are highlighted by interactive video, classic 3 reel and 5 reel slots, blackjack machines, video poker, and keno. Along with a full complement of real money gambling options, Eagle Mountain also offers a regular schedule of promotional events. There is a $250 new member bonus with opportunities to win as much as $750. Birthday Bonuses offer up to $100 in cash and there is a $1,000 cash bonus offer when celebrating an Eagle Mountain Rewards Club anniversary. There are also banquet facilities for special events. Eagle Mountain offers a regular schedule of entertainment such as live game shows, comedy shows, and concerts. • Source: Bakersfield woman wins $562,000 at Eagle Mountain Casino From Turnto23.com On January 16, 2019. See how anyone who is serious about playing real money slots at a land-based or casinos in California is also serious about winning big.